We are thrilled to share the inspirational story of Organifi’s founder, Drew Canole, and how he took back his health (losing 40 lbs in the process!) and created Organifi along the way. Organifi is #HealthHero Approved because of the quality, taste AND how easy Organifi products make it to get all your daily fruits and veggies (when you don’t have time to cook). 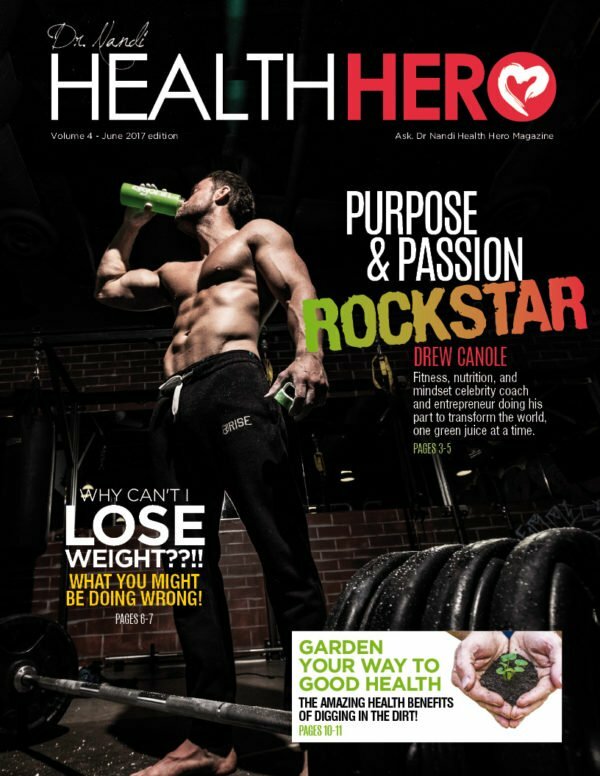 We also had the honor of interviewing Drew for a recent Health Hero Magazine feature. When you drink green juice you are sending love to each of your precious cells. Once you begin eating and drinking high-quality foods, you won’t ever want to go back to your old ways. You will feel more energy than before. More motivation. More happiness. More passion. More joy. This is why I drink green juice every single day. Maybe this sounds a little over-the-top to you… but hang on with me for just a minute. I promise you won’t regret it! Green juice is a mixture of the juice from green vegetables and sometimes a little fruit, herbs and other superfoods. 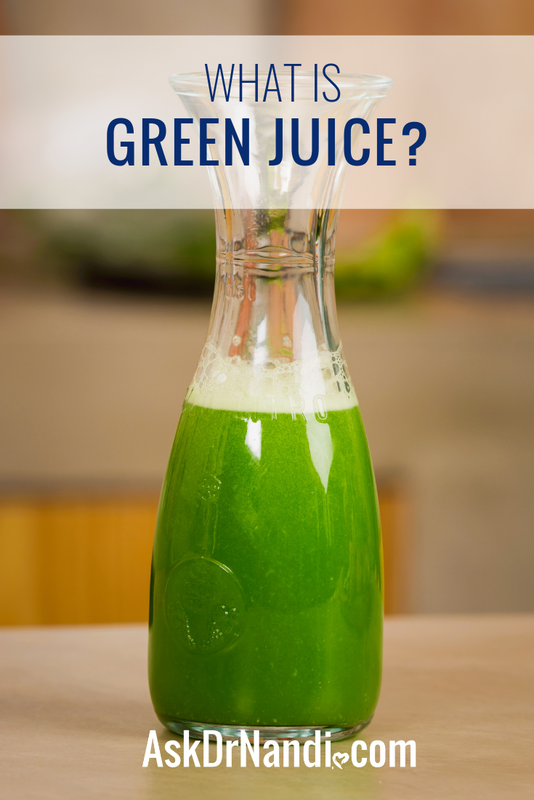 To make green juice, you’ll use a juicer or a pre-made green juice powder, like Organifi. A juicer separates the pulp from the juice. It extracts the nutrients from the veggie or fruit at the deepest cellular level, providing YOU with a crazy amount of health-giving properties, all in one glass. With a powder, you simply add liquid and voila. Instant nutrition, for your amazingly intelligent body. Numerous studies have shown that a diet high in these foods is linked to a lower risk of illness, disease and premature death. Just check out some of the things veggies and fruit can do for you! Studies performed at the University College London discovered that those who ate 7+ servings of fruits and veggies daily (a serving of fruit being 1 cup and 2 cups for leafy greens) were 42% LESS LIKELY to die prematurely. They also discovered that these people were 25% LESS LIKELY to die from cancer. Even though we all know eating fresh fruits and veggies is the best thing for our bodies… how many of us are actually eating them enough? According to recent statistics, hardly anyone! But don’t worry. There is an easy solution – you guessed it. It’s fresh-pressed, nature’s candy – it’s GREEN JUICE! No wonder so many people are tired, sick, overweight and unhappy… they are not giving their bodies the FUEL they need to THRIVE! Maybe you can relate. Trust me, I’ve been there too. Just by you reading this info, you are on the right track to make positive change. So give yourself some credit. Starting is the hardest part… you don’t have to do it alone. Drinking green juice is an act of self-love. Drinking green juice can help augment a diet that is low in greens, vegetables and fruits. Our bodies are being worn down by processed foods, chemicals, additives and toxins that have become a normal part of everyday life. Gross, right? But the good news is – green juice is healing and provides precious micro-nutrients to your cells within minutes. I was first turned on to juicing by my good friend, William Ripley. His father had recently suffered a heart attack. The doctors had given him a very short time to live – unless he were to make some pretty radical changes immediately. At the time, his father was severely overweight and had very little, if any, energy whatsoever. Mr. Ripley visited multiple doctors and tried various homeopathic remedies along with an expansive array of other methods for healing. He was at a friend’s house when he shared his bad news and explained his situation to her. Determined and desperate, he asked her for advice. All that he could think about was the prognosis – death – and the fact that he wasn’t ready to go without a fight. In that very moment, she pulled out a juicer from her small pantry and gathered veggies from her fridge. As she washed the vegetables, Mr. Ripley started to chuckle. “What are we going to do with those?” he asked. Mr. Ripley was unfamiliar with the concept of juicing vegetables, but because he was desperate and ready to do whatever it would take to be well, he agreed to give it a try. The juice his friend made for him consisted of a couple of carrots, a cucumber and some ginger. She handed the cup to him and he grimaced. He had always had a disdain for the taste of carrots and had never even tasted raw ginger. But he put the glass up to his lips and took his first sip. “This stuff tastes amazing!” he proclaimed. She smiled and reflected on how often she had seen this expression from newbie juicers. After Mr. Ripley’s first juice and with the hope of losing weight and regaining his health, he became a juicing addict. Not only did he start juicing three times a day, he convinced all of his neighbors to juice. Months went by and Mr. Ripley – remaining faithful to his new love of juicing – felt more energy coursing through his veins and began to drop the excess weight – and quickly! – like he had the metabolism of a pre-pubescent adolescent. Eventually, the medication prescribed by his cardiologist started giving him problems. He explained to his doctor that it was causing him to vomit and convulse. The doctor quickly responded by running tests. It seemed that Mr. Ripley’s immune system had strengthened so much that it had formed a “block” against the medicine. His doctor wanted to increase the dosage of the medicine, but Mr. Ripley knew that he no longer needed it and knew that it wasn’t the medicine that was improving his health and keeping him alive. It was the juice! After William shared his father’s story with me, I realized that I had to get a juicer – ASAP! While I wasn’t in as poor of shape as Mr. Ripley (yet)… I knew that the way I had been treating my body over the years was only setting me up to be another sad statistic and I knew that I wanted to live a better life. This decision would end up being the best investment for my health that I’d ever make. At the time, I had lots of energy but was constantly searching for the nearest coffee shop for my caffeine fix. I was in good physical shape, but nowhere near where I wanted to be. I would often work out twice a day, sometimes for more than three hours a day. Regardless, I just couldn’t lose what looked like baby fat surrounding my abdominal region and my little chipmunk face. Maybe you can relate to this. It’s super frustrating. Like many people, I was severely dehydrated and didn’t even know it. Often I would mistake my dehydration for hunger, which forced me to overeat, choosing the wrong foods for my body, leaving me feeling sluggish and unmotivated. For years this went on and instead of drinking nourishing liquids, I would overeat pizza and other life-draining foods. This is the story of most of the population. We are “the dehydrated nation” and also the most overweight. Do you think there is a connection? Well, I am here to tell you… there is – a big one, in fact! As a culture, we load up on soda, coffee, sugar-laden tea, alcohol and other beverages that are not good for our physical well-being. One 20-ounce bottle of Coke has the equivalent of 16 packets of sugar in it, yet we wonder why America is fighting an obesity/diabetes epidemic, which is a leading cause of death in America. There is a recommended limit for sugar consumption and in the U.S., it’s estimated that we are consuming 3-5 times that amount. A simple reminder to track of this is: 1 tsp is equal to 4 grams of sugar. Women should not consume more than 6 tsp (24 grams) daily and men should not consume more than 9 tsp (36 grams) daily. And unfortunately, sugar is hidden in just about everything. Through a rigorous juicing schedule, within three months, I started to see a six-pack peeking through my abs that I had never seen on myself before. This was enough to encourage the beginning of a lifelong habit, using food to transform my body and ultimately, my entire life! A MUCH HAPPIER (and healthier) DREW! Would you like to have any of these things in your life? If you answered “yes,” then it is time to learn about one of the greatest discoveries I’ve made up until this point. Why green juice? This magical elixir gives your digestion a break, while providing your body with countless micronutrients, phytochemicals, vitamins and minerals. Who needs caffeine when you’ve got greens?! Seriously. It’s all of that and a bag of veggies! Our bodies have a pH scale ranging from 0-14 – 0 is highly acidic, 7 is neutral and 14 is highly alkaline. A slightly alkaline environment, with a blood pH of roughly 7.4, is the body’s sweet spot. Your pH shifts regularly and depends heavily on your daily lifestyle – food, mood, stress, sleep, toxins, movement. A little imbalance here and there may not be a problem, but an imbalance over time can have pretty drastic consequences. Our Standard American Diet (SAD) is loaded with acid forming temptations – dairy, sugar, red meat, soda, alcohol, coffee, white-flour products (bread, pasta, pastries), processed food, fast food… you get the idea. Add to that a stressful lifestyle, lack of exercise, an overabundance of toxic exposure and you’ve got a recipe for pH disaster! A little info to show you how important it is to be in an alkaline state… studies show that having a pH just above 7.4 (alkaline) causes cancer cells to be dormant, while a pH of 8.5 (more alkaline) causes cancer cells to die. pH is powerful! A restoring diet aims at 80% alkaline forming foods and 20% acid forming foods. The most alkaline foods being raw vegetables, greens and fruits. The great thing about a cup of green juice… it is EXTREMELY alkaline! When you drink green juice daily, you are helping to heal your body and restore it to an alkaline state. It’s one of the simplest things you can do for yourself. Our soil is nutritionally depleted due to GMOs, pesticides and poor farming practices! Eating broccoli nowadays compared to 20 years ago is totally different. You can make up for that fact with juicing! Some people argue that juicing isn’t a natural way to take in food because it is such a highly concentrated dose of nutrients (which enters your bloodstream within minutes!). But in this day and age, there are countless people walking around literally starving their bodies of proper nutrition. If there was ever a time where people needed a super-boost of micronutrients, now is THE time! Simply drinking even 1 fresh pressed green juice each day has the power to supply your body with the essential vitamins, nutrients and minerals it needs for sustained energy, vitality and overall health. Juicing veggies and fruits high in brain-protecting nutrients like potassium, vitamin K, vitamin C and lycopene can do wonders in promoting proper brain and nervous system function. Forget the brain drain, pump your beautiful brain UP, peeps! Green juice naturally and effectively removes toxins that clog up your gut and cause excess weight, digestive discomfort and disease. 70% of your immune system is in your gut so keeping it healthy improves your overall health too! Nothing ages you faster than stress! Veggies like spinach have high levels of tryptophan, which elevates mood and helps you sleep better. Green juices are typically high in vitamin C and may help your body to combat the negative effects of the stress hormone, cortisol. According to Dr. Mercola, about 80% of Americans are deficient in magnesium. Drinking plenty of juice from dark leafy greens will ensure you get enough of this mineral, which is important for relaxing muscles, the nervous system, stress relief, digestion and helping you sleep better. Juicing naturally removes toxins from the body that cause excess weight and water retention. There are two ways you can enjoy the benefits of green juice. #1. Making your own fresh green juice using a juicer and fresh veggies, fruits, herbs and superfoods. #2. Using a high-quality green juice powder. I will teach you about both methods here. Although juicers can be pricey, think of one as an incredible investment in your health. If you start taking care of yourself now you won’t have to pay hundreds (if not thousands) of dollars in doctor’s bills later. Here is a list of the different kinds of juicers available. I also list the specific brand I prefer to use. If you can’t afford the best juicer, don’t give up! Start where you can! Any fresh juice is better than NO juice at all! If you really don’t want to buy a juicer just yet, you can start by using green juice powders! I explain how to find and use these powders at the end of this article. Cheap, starter juicers. Difficult to clean and generally not very efficient. If you have the desire to juice but need something affordable then this isn’t a bad place to start. The most common type of juicer. Works quickly but doesn’t get as much juice out as a masticating juicer. This juicer can juice most anything except for some thick leafy greens and wheatgrass. Produces high quality and undamaged juice. Gets the most out of your fruits and veggies. Slower than some juicers, but worth it. Can juice just about anything. We use this juicer the most at FitLife. Works quickly and efficiently without destroying any nutrients. Can juice just about anything and can take large pieces of fruits and veggies without you having to cut them up as much. When you juice, you can juice multiple pieces of large fruit into one glass whereas usually, you wouldn’t eat that much in one sitting. This can equal a large amount of sugar. Without the fiber to slow it down during digestion, it can cause big insulin spikes and cause your energy levels to plummet. Extra sugar will also eventually get stored as fat in the body. Too much of any type of sugar is simply that – TOO MUCH. That includes fruit. Learn to avoid using too much fruit. Your juice doesn’t necessarily have to turn the color green, but it should have a 80/20 ratio of veggies/fruit. Your taste buds may not like this in the beginning but TRUST ME when I say that they will eventually begin to crave this type of liquid gold (or green)! Your taste will start to adjust within a week or two so be patient and enjoy experimenting. You also have to be a little careful with high-sugar vegetables (YES, there ARE high sugar veggies!) Beets and carrots, for example, are higher in sugar. They make a great addition to juice but don’t use them every day. Juicing isn’t a meal replacement (unless you’re juice fasting). So if you start juicing INSTEAD of eating regular food, you’re body is most likely going to make you feel either really hungry or really tired (or both). To feel satiated, be sure you are getting enough protein, healthy fats and fiber (fiber is not included in juice so try adding a smoothie in the mix too). Eating 20-60 minutes after juicing is a great idea to avoid the risk of getting TOO hungry and binging on the food you don’t need or want. Juice is absorbed QUICKLY. When dumped on top of other foods, it may disrupt digestion, giving you digestive upset and keeping you from feeling 100% – often adding to issues like gas or cramping. Juice works best on an empty stomach to digest effectively, giving you energy and leaving you feeling refreshed. Juice before a meal, or wait one or two hours after meals to juice. Avoid having your juice WITH a meal for the reasons I mentioned. As soon as fresh juice is exposed to air, its live enzymes (nutrients) begin to degrade. This is why we always recommend using your juicer daily and drinking your juice as soon as possible for best results. Fresh juice = energy boost! Old juice = not so much energy and more sugar. In general, you should try to drink your juice within 15-30 minutes of making it. Variety is the spice of life.  The same is true for your body. Juicing the same thing over and over, day after day can cause hormonal issues and stress on your thyroid. Some people may even develop food intolerances if they are getting too much of it. Try to vary the things you put in your juice. Rotate through different greens. Go to the farmers market and pick out different veggies to try every week. Look for all kinds of recipes. We’ve got a ton on our website. Try new colors, textures, superfoods and more! The list of possible juice recipes is unlimited! Shop seasonally for new recipes too! Plus, seasonal shopping is more flavorful and less expensive! Bonus! These also provide beneficial and energizing nutrients! You can even incorporate some fiber into your juices by using the skins and peels. Be sure to look up which ones are safe to juice and which ones are not. What you are able to juice also depends on the strength of your juicer. Citrus Peels: Citrus fruits have their highest amounts of antioxidants in the peels. For example, the flavonoid, naringin that is found in the peels of grapefruit, mandarin and lemons has been studied for its powerful antioxidant power. It has been shown to have high potential in reducing radiation damage to the cells. We could ALL use more protection from radiation! Another flavonoid, hesperidin, found in the white inner layer of lemon, lime, grapefruit and orange peels has been shown to improve menopausal symptoms in mice such as bone loss, decreased serum levels and decreased liver lipid levels. Watermelon Rind: Citrulline is an amino acid found in the white part of watermelon rinds. Studies have shown it to be beneficial to the cardiovascular system and it may also have anti-diabetic effects. Mango Skin: Packed with numerous antioxidants that are particularly beneficial to skin health. Results will be most obvious when you juice on a daily basis. A lot of people are walking around with bodies that are laden down with toxins, environmental stressors, emotional weights and numerous health burdens. One glass of juice is definitely a fantastic start to a better life but it can’t stop there! There is no other way to get the same magical powerful effects of juicing except to JUICE. Regularly! I’ve been doing it for years now and WOW! What a difference! A bunch of superfoods and greens packed into one simple powder that will benefit your health tremendously? With no shopping, no blending, no juicing and no clean up involved? SIGN ME UP! Let’s be real – juicing takes time. From finding a good juicer to buying the produce to washing/prepping the produce to making a recipe to actually juicing to cleaning the juicer… sometimes you just don’t have time for all that! But you still want to take care of your body. You’re still committed to a diet filled with healing nutrients. So… you stir up some high-quality green juice powder and go! Whenever I am in a hurry or when I’m traveling, I always have green juice powder with me. Most green juice powders will come with instructions, but for the most part, you simply add 1 scoop to 8-16 ounces of liquid. This can be water, almond milk, coconut milk, etc. If you have a little more time you can also blend it up with more greens (I LOVE greens, in case you couldn’t tell!) a small piece of fruit or cup of berries to add a little natural sweetness. NOT ALL GREEN JUICE POWDERS ARE CREATED EQUAL! If you want to receive all the benefits of green juice, it is VERY important to pay attention to ingredients! A lot of products on the market have fillers, preservatives, food dyes, GMO’s and other ingredients that can be harmful to your health. I would recommend always looking for brands that are packed with organic, all natural, vegan, gluten-free and non-GMO ingredients. This will ensure you are getting high nutritional density and no junk. Just keepin’ it real – if it tastes nasty, you’re not gonna drink it! Look for a green juice powder that you can see yourself actually drinking every day. In our Organifi Green Juice Powder we added lemon and mint to give it a fresh, citrusy taste. And it’s sweetened with Monk Fruit instead of artificial sweeteners and gut disrupting ingredients (even stevia has been shown to place a burden on your digestive system, ugh!). Yes, green juice is not going to taste as sweet as a cup of pure fruit juice, but it actually CAN taste GOOD. It SHOULD taste good. And the MORE you drink it, the more your taste buds will adapt and soon you will be like me and find a cup of green juice absolutely DELICIOUS. Not only to your taste buds, but your CELLS will be singing it’s praises too. Base – Grasses like wheatgrass, alfalfa, barley and dandelion. Lecithin – A type of fat that is often added to foods to prevent separation. Digestive Enzymes – These are added to promote optimal digestion and absorption. Probiotics – Beneficial bacteria to help balance your gut and overall wellbeing. Fibers – Generally taken from fruits, these are also beneficial for digestion. However, you don’t want too much of these in green juice or it can take away from the juice’s benefits. I generally wouldn’t buy anything with more than 750 grams per serving. Herbs – Herbs are a fantastic addition to a green juice powder. Most are adaptogenic, which means they bring your body back to balance from one extreme or another. They are also added to boost energy and your immune system. Mushrooms – Not as common but occasionally found in green juice powders. Greens – Kale, broccoli, bok choy, parsley, sprouts, etc. Seaweeds/Algae – In my opinion, green powders should ALWAYS contain a good amount of various seaweeds/algae such as spirulina or chlorella. Most people never eat these in other forms and they are powerful detoxifiers. This is my favorite green juice powder. Yes, since we made it here at Organifi, I am a little biased! But I can tell you honestly that I drink this EVERY day (sometimes more than once!) and that we spent years making this into the best green juice product possible. Imagine… in just 30 seconds a day, the ability to supercharge your life! Organifi contains 11 of my absolute favorite superfoods. These recipes will make between 8-16 ounces of juice. 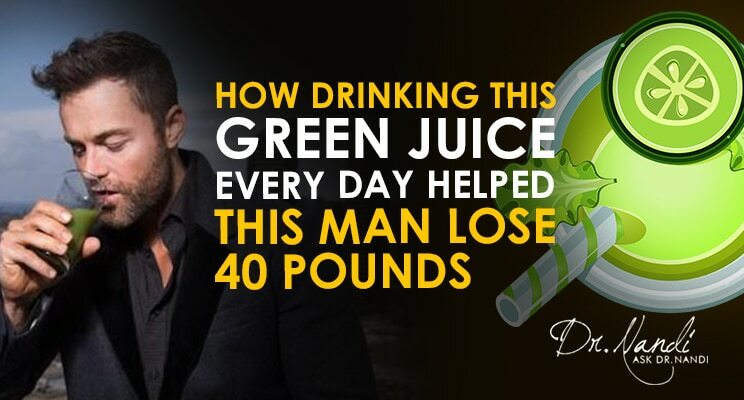 I hope you choose to be one of thousands of people who have revolutionized their health through juicing fresh greens. There truly is nothing else like it! I challenge you to try drinking green juice at least once every day for two weeks. It can be fresh green juice from a juicer, a green juice powder mix or juice from a reliable local juicer. Document how you feel. Pay attention to anything that changes in your life. Don’t be overwhelmed by all the information. Take one step at a time towards better health. Nobody gets there overnight.